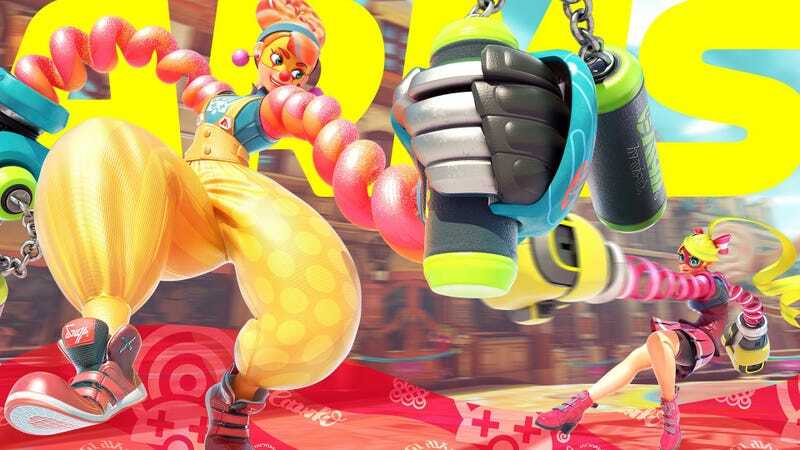 Lola Pop joins the cast of ARMS in version 3! Just announced at Gamescom 2017, a new candy-themed clown fighter named “Lola Pop” will join the cast of ARMS with the upcoming version 3 update in September! Lola Pop comes with a new sweets-themed arena that is shaped almost like an “S”, a nice change of pace from the mostly-round/square/rectangle arenas in the game thus far. She also comes along with three new arm types. It appears she has a nunchuck-style accelerating and arcing arm, a new type of shield arm, and a vision-blocking multi-shot arm. Her special ability appears to be inflating her body to generate a shield while moving slowly in a direction. That said, she seems highly mobile and looks to be about Ribbon Girl’s size and speed. Anyone still playing ARMS? Will an update like this bring you back to check out the new fighter, arms, and stage? I admit that my playtime with ARMS has fallen off lately, but I am definitely interested in diving back in with version 3 because of all the new content combined with the balance changes they’ve been implementing!